Don’t unscrew it and take it off! No need. 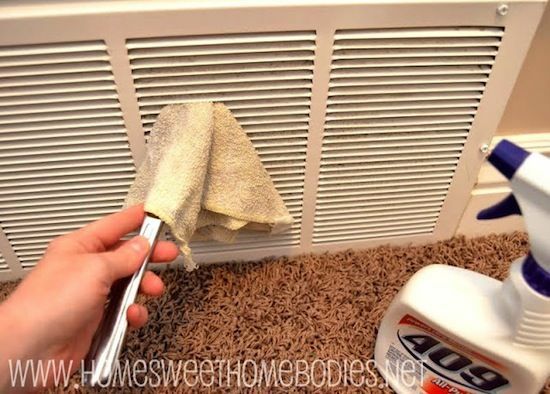 Grab a butter knife and a rag to easily get in between each little crevice. Have you looked closely at your air vents lately? You might just need to do this. I find it helps to take a vacuum hose to it first to get a bulk of it out so you’re not having to clean your rag over and over. So many more uses for your dishwasher than you can imagine. It’s like a machine! Oh wait, it is a machine. Vacuum filters are extremely pricey (like ink is for a printer), but if you can get that thing clean, there’s no need to replace it. 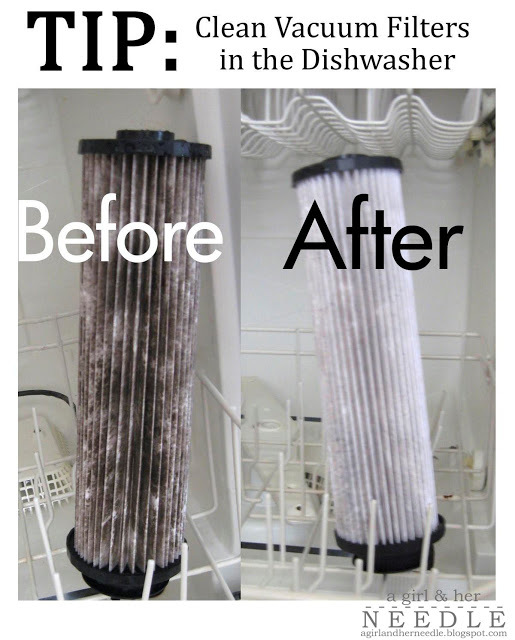 Check out this tip on how to clean your vacuum filters in the dishwasher! Makes it hard to feel clean when you’re scrubbing away in the shower and have to look at that! But, no matter what you do, it’s almost impossible to prevent. 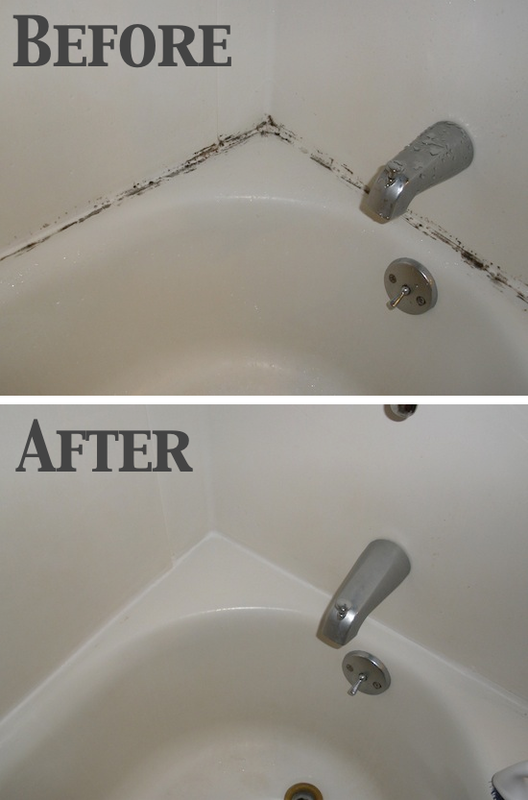 The moisture in the bathroom is the perfect breading ground for mold. I found this awesome tip on how to easily get rid of it (it’s quite unconventional), but just look at the difference! I’ve got to try this for my guest bathroom.